It’s the D. O to the DOUBLE GG- and guess what animal he looks like? I know not very original but Snoop Dogg’s notorious cheeky grin perfectly matches and resembles this long-necked smiley dog, maybe that’s where the name Snoop Dog came from? 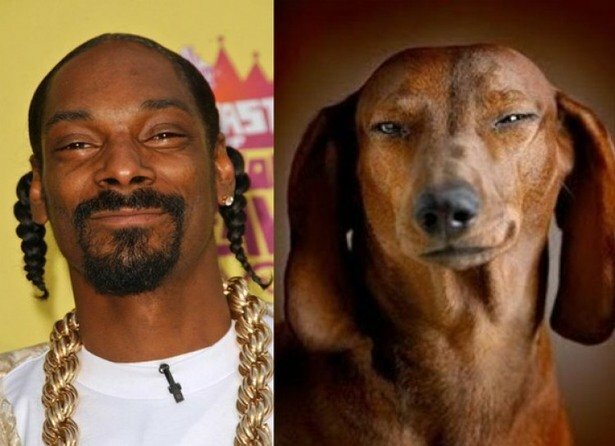 Rapper Snoop Dogg (real name: Calvin Cordozar Broadus Jr) is famously known for enjoying Marijuana and we have to note the uncanny similarities between Snoops eyes and those of the dog in question… maybe the dog too enjoys Marijuana, who are we to judge? Either way, I think that it is fair to say that these two look incredibly similar. That silvery white fur, those piercing blue eyes. 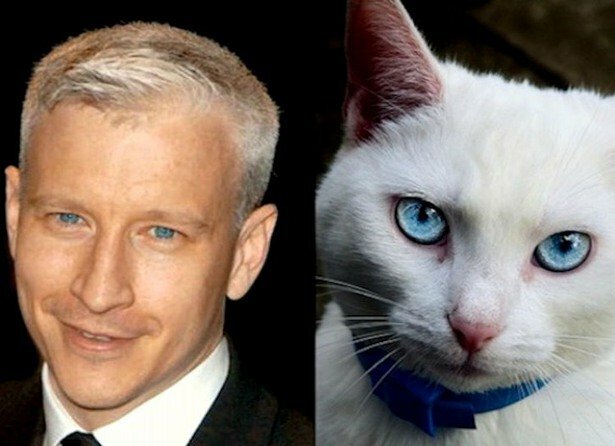 There’s no doubt that Cooper and this cat have a similar look.